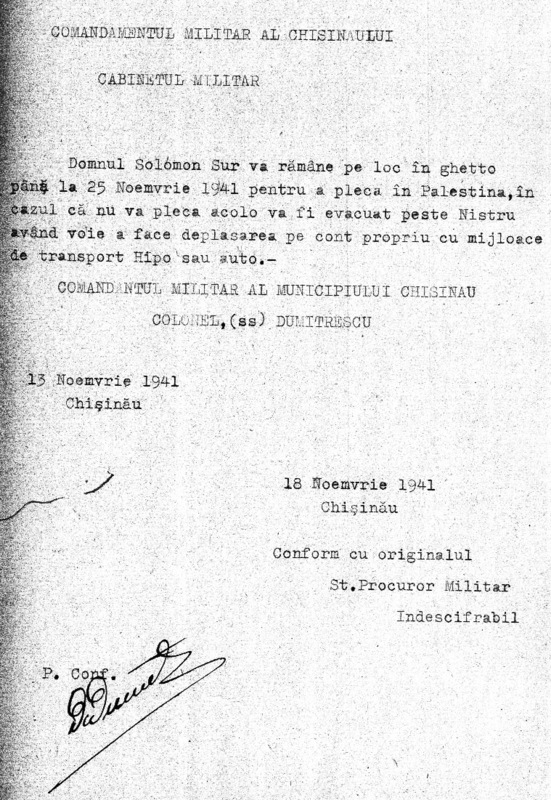 We found several interesting documents in the National Archives of Moldova connected with transfer ghetto prisoners to Palestine. “Mr. Solomon Shur will remain in ghetto until Dec. 25, 1941 until his trip to Palestine. If he does not go there, he will be transferred across Dniester. He is allowed to go by horse or vehicle. “The military commander of Chisinau Eugen Dumitrescu has authorized the family of Michael Schwartzberg, Clara Schwartzberg and their son Moses, not to be evacuated. These persons go to Palestine, and they are allowed to travel by train from Chisinau to Constanta via Reni-Galaţi. They are allowed to bring household items and clothing up to 100 kg in suitcases or in the baggage car. The move will take place during November 15-17, 1941. 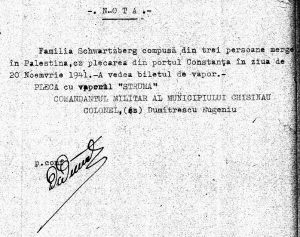 Schwartzberg family of three people is coming to Palestine from the port of Constanta on November 20, 1941. They have a ticket for the boat. Departure on the ship “Struma”. Amazing documents. Let’s look at the circumstances around at that period. 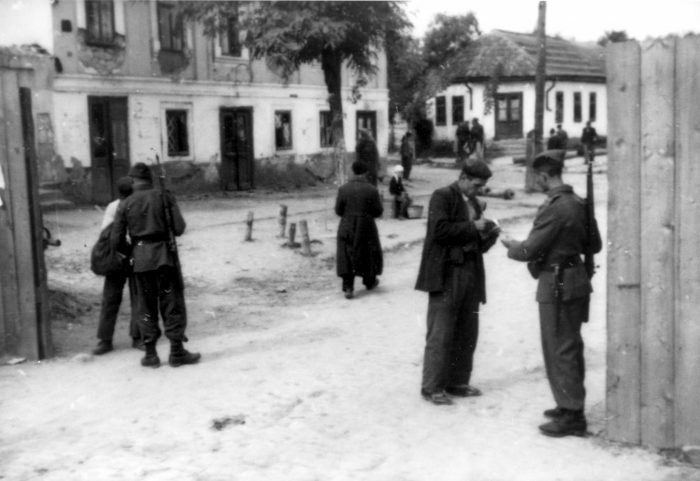 Chisinau ghetto was established on July 25, 1941 in the poorest quarters of the lower city. There from 9 to 13 thousand Jews of Chisinau and nearby settlements were driven. The area was surrounded by a fence topped with barbed wire. Mandatory wearing of the yellow star was introduced. Hard labor, diseases, abuses, shootings continued throughout October until prisoners were sent to Transnistria. Those who had relatives and friends in Bucharest, called out for help by sending urgent telegrams. After studying passenger lists of “Struma” from five different sources, we did not find them there. They were not on board. And it became clear that they did not manage to use the chance to go to Palestine, but in reality to find their death on the seabed, and so the question remains about the place and time of their death. So we can only guess what prevented them from getting to the ship.